We have highly trained dispatchers working around the clock to provide you with the comforting feeling knowing that you are protected because that is what you deserve. 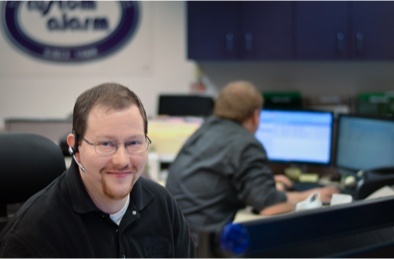 With Custom Alarm you will get a friendly dispatcher each and every time, day or night. We pride ourselves on our local monitoring response center because we know that a security system is only as good as the monitoring behind it. Whether it’s inclement weather, local crime alerts, or construction projects occurring in the communities we serve, you can trust Custom Alarm to ‘have your back’. All of our employees live in and around the Rochester area, so we are equipped and ready to respond to all of your security needs anytime day or night. We recognize the importance that to not only say we take security seriously but to aligning ourselves with professional security associations. We operate not to just meet expectations but to exceed them, allowing us to carry the highest credentials in the industry, providing ‘Peace of Mind’ to all of our customers. Commitment to random inspections and qualify criteria standards by a nationally recognized testing laboratory such as FM Global, Intertek/ETL and UL. Commitment to ongoing education and testing by having 100% of Monitoring Station dispatchers certified using the TMA online training series. Committed to raising industry standards through TMA membership and participation in its activities. Factory Mutual (FM) is a research corporation that provides insurance, underwriting, and risk management services to businesses all over the world. It requires clients to maintain high standards to ensure their customers ultimate safety. Our Monitoring Response Center is FM approved for fire systems as Custom Alarm follows all National Fire Alarm Codes and Standards as well as standards set by the National Fire Protection Association. Underwriters Laboratories (UL) is a global independent safety science company that sets quality standards for all electronic and consumer products. Our Monitoring Response Center undergoes a rigorous inspection process to be certified as UL Listed and is audited annually for quality, efficiency, and functioning monitoring equipment. If there are any issues that arise with your system we receive the alert, react to the alarm, and respond appropriately, contacting you and/or dispatching the local authorities, as needed. 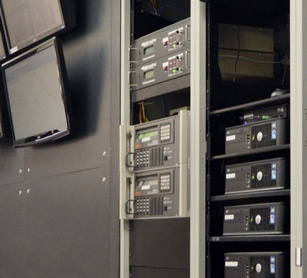 We believe the most important part of any security system is the monitoring services behind it. That is why we are staffed with friendly, highly trained dispatchers who are alerted of potential risks for your home and/or business 24 hours a day, every day of the year, allowing you to rest easy. 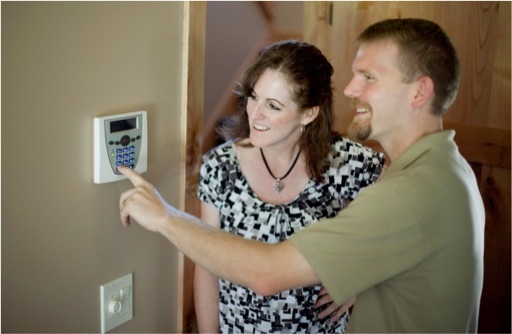 We all know it’s great to have an alarm system, but how many people know how to properly use it? Hopefully the answer is everyone, but we know that is unrealistic. We have the necessary tools and resources to help decrease false alarms caused by human error. Download the PDF to learn how to eliminate false alarms in your home or business today.